Working in a professional environment entails a particular dress code, and that means suits will become part of your every day routine. This is a great opportunity to show off your business attire and look the part, no matter what industry you’re working in. If you’re required to wear a suit and tie as part of your job, it’s crucial that your fashion choices are right on point. Men’s ties often include a huge range of choice, both in colour and pattern, making it difficult to find the right tie for the occasion. After all, a professional tie will no doubt look different to your weekend choices or if you were attending a wedding. So, to help you make an informed choice for your work ties, here is a guide to get you started. Your work suits are no doubt made up colours such as black, white, grey and navy. This means when it comes to choosing the colour of your tie, you should carefully consider what is going to add a great visual element to your outfit. There are a few key colours that should definitely have a place in your work wardrobe. Firstly, a red tie is the ultimate professional style. Red is a powerful, bold colour that will demonstrate your authority with ease. Choose from a classic, ruby red or opt for a burgundy shade for a sophisticated edge to your appearance. 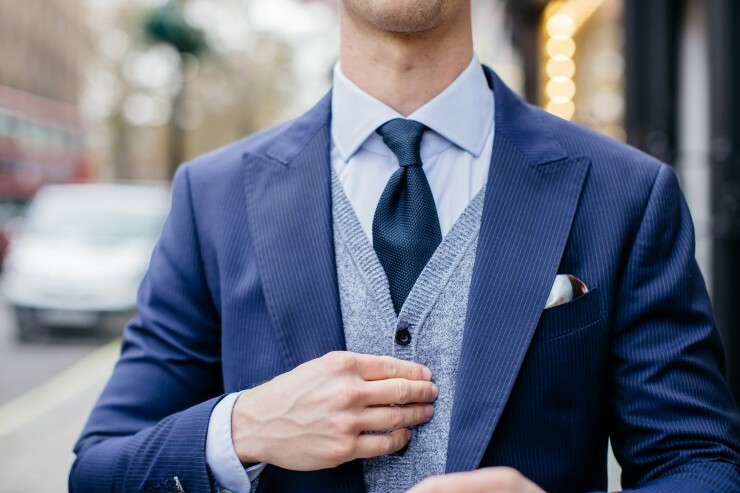 Blue is another staple colour for your work attire. A blue tie is easy to wear and always looks smart. Choose a light shade for the summer months, and stick to navy for all other occasions. Navy ties have a timeless, versatile style that you simply can’t go wrong with! To lighten up any suit, pink ties have become an increasingly popular colour choice. Perfect for professional environments, light pink shades can be worn all year round for a subtle pop of colour to your suit. You may think pink is a difficult shade to match with, but pair your pink tie with a navy or grey suit for a modern look. 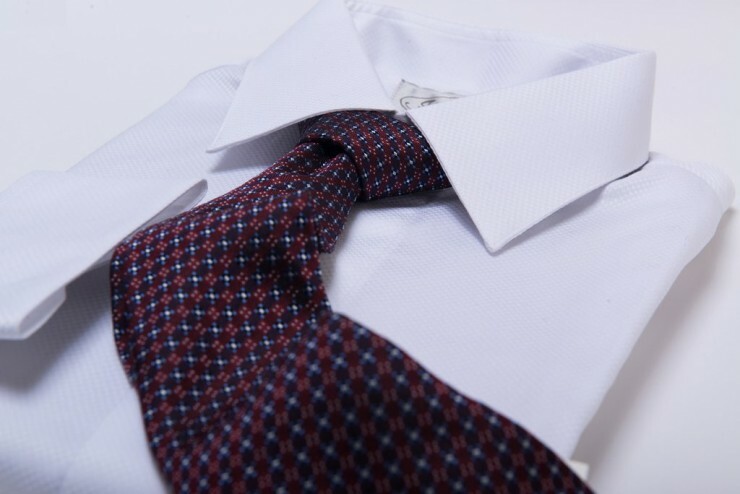 Your choice of work tie doesn’t just stop at the colour. You should mix in a few patterns to create a contemporary collection of ties, ready for anything the office might throw at you. Firstly, you should always make sure you have at least one solid colour tie. They are the easiest to match and will likely look the most professional; perfect for important business meetings. Make sure you choose a colour that will create an impact, such as red as discussed earlier. A popular pattern to choose is striped. A classic choice, striped ties should sometimes be chosen with caution. If your shirt or suit is also striped in any way, you can still wear your striped tie! Just make sure the stripes are of a different thickness or even direction so that they don’t blend into each other. All of the colours incorporated should complement each other. Similar to choosing a light colour, certain patterns can also liven up your suit. Paisley print is popular for its subtler take on a floral tie, with an interesting pattern that can include many different shades. Remember that anything too bright or garish could have a negative impact on your professional appearance, so perhaps consider a tonal style with similar shades of the same colour. Polka dots or pin dots are another way of adding some extra visual appeal to your suit. 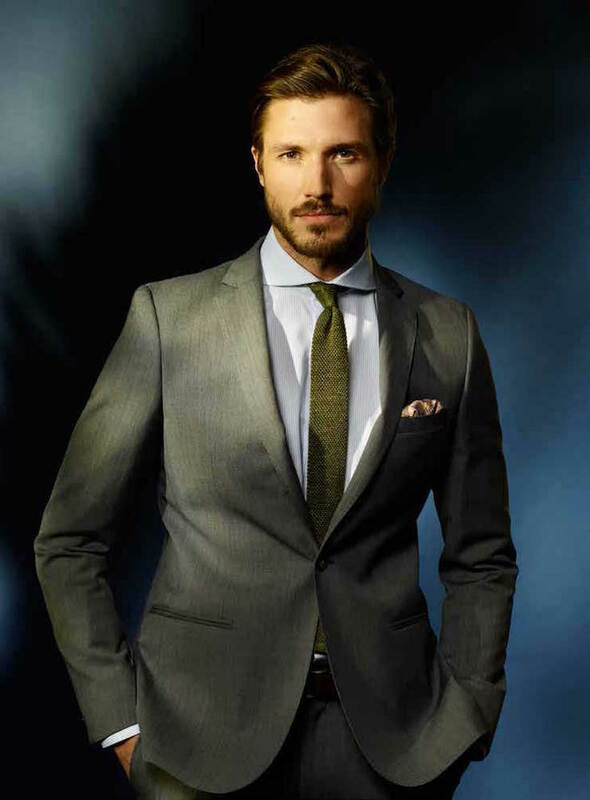 After all, your tie is the focal point of your suit, so you may as well add some texture and contrast to your outfit. Whenever you’re choosing a new tie for work, remember the general rule of thumb; wear a bold tie with a plain shirt, or a plain tie with a bold shirt!